If charges have been dismissed before trial, and you have no other convictions and haven’t expunged another offense, then you may expunge your record in Florida. Additionally, if 10 years have passed since having a record sealed, then you are eligible to expunge that criminal record. If you have a less-than-perfect history and are now seeking a job, you may have come across the terms expungement, criminal record clearing, and so forth. Of course there are many companies that provide record clearing service – each with their own system and methods. But to add confusion to the matter, only a few provide an accelerated service called an Expedited Criminal Database Update or ECDU. 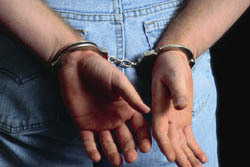 What is an Expedited Criminal Database Update? It is an electronic system that dramatically speeds up the removal process of a modified or removed criminal record. It’s a bit like having your own personal representative going to each individual background check company and asking them to remove the record immediately, or else. It is therefore better to find record clearing services with an ECDU service; because it takes time for your record to be updated, and background check companies have no incentive to update their records quickly. And as we all know, if you’re sitting around doing nothing with a criminal record and can’t find a job because of it – you’re losing time. And we all know that losing time is the same as losing money.